← The Vancouver Film Critics Circle Announce Their Nominations For The Best of 2018! Unlike today, when superheroes dominate at the box office and your local multiplex, costumed crusaders were dead as the proverbial doornail in theaters of the 1970’s. The last was 1966’s BATMAN, at the height of the camp craze, but after that zer0… zilch… nada. I didn’t care; my comic book reading days were pretty much at an end by 1978, driven away by other distractions, like making money, girls, beer, and girls. I had moved on. 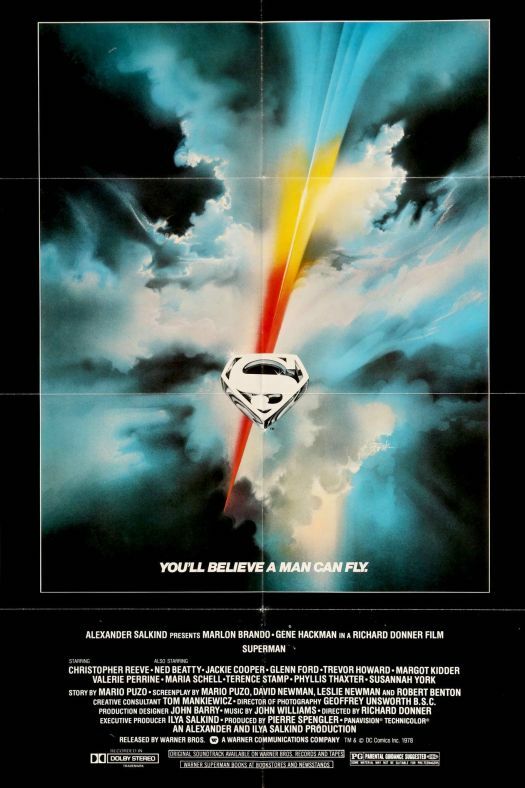 This entry was posted in Film, Film Review and tagged Christopher Reeve, Cracked Rear Viewer, Gary Loggins, Gene Hackman, Geoffrey Unsworth, Glenn Ford, Jackie Cooper, Margot Kidder, Marlon Brando, Phyllis Thaxter, Richard Donner, superhero film, Superman, Superman: The Movie, Through the Shattered Lens, Warner Brothers. Bookmark the permalink.